October and Fall are here, along with all kinds of fun family activities going on throughout Orange County Parks. Be sure to mark your calendar for these special family events! 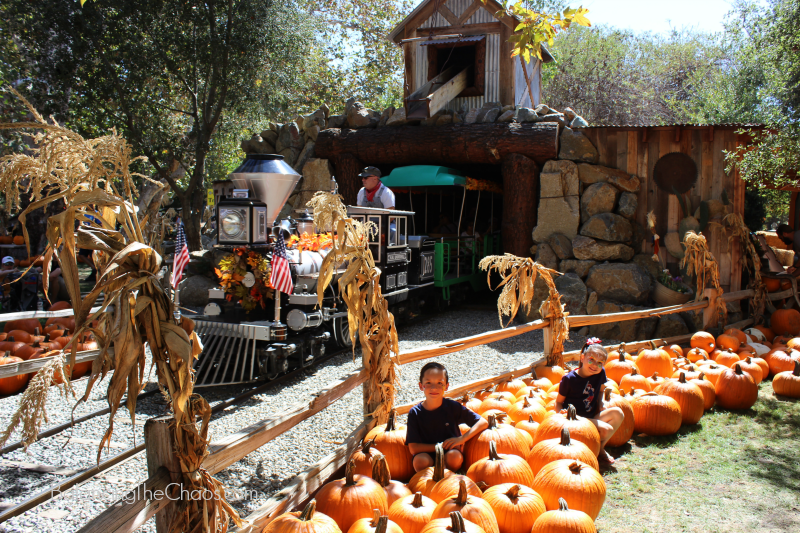 Irvine Park Railroad’s ninth annual pumpkin patch is fun for the entire family! Activities include train rides, hay rides, a child-friendly haunted house, a hay maze, a moon bounce, face painting, picture stands, John Deere tractor races and a lot more. Admission to the pumpkin patch is free. Prices for all other activities vary. School and group discounts available. For additional information and costs, please visit www.irvineparkrailroad.com. Enjoy self-guided hiking, mountain biking, and equestrian access to designated trails in Limestone Canyon Nature Preserve. Special Instructions: All ages welcome. Registration is required, sign-up online: www.letsgooutside.org/wildernessaccessday. Directions will be provided after registration. Special Instructions: Registration is required, sign-up online: www.eventbrite.com/plantpropagation. Wear closed-toed shoes, layered clothing and sun protection (hat, sunscreen) and bring water. Meet at Laguna Coast Wilderness Park, Willow Canyon Staging Area (west side of Laguna Canyon Rd/SR-133, just south of El Toro Road). Park and walk up the gravel trail 100 yards to get to the small native plant nursery, just before the trailers. Come celebrate Acorn Day under the oaks at O’Neill Regional Park. It’s a free, family-friendly day of excitement and learning with activities for every age: a very special storytelling session with painting on water, free crafts for kids, a live butterfly enclosure, games, face painting, live music, nature and animal exhibits, a book signing with the author of “How to draw 60 Native CA Plants and Animals, a field guide”, acorn and oak tree planting and much more for the entire family! Special Instructions: All ages welcome. Guided nature hikes to the Water Tower will be offered at 9 a.m. and 11 a.m. Food will be available for a nominal fee. 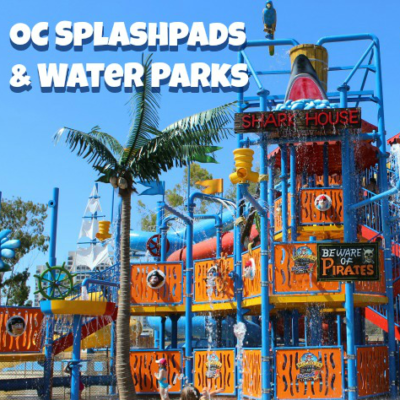 For more information visit: www.ocparks.com/acornday. Special Instructions: Registration is required, sign-up online: www.eventbrite.com/familyhike. Laguna Coast Wilderness Park, James Dilley Preserve (I-5 or 405 south to 133 south to stoplight at 73 toll road; make a U-turn, go 1 block. Dilley is on the right). Specil Instructions: Hike lasts approximately one hour and is suitable for all ages. Meet at the Old Corral Day Use Area. Contact park office for hike updates. OC Parks invites you to ride the trails and test your luck at the Whiting Ranch Poker Ride! Participants will ride their mountain bikes through an adventurous course of trails, navigating their way through checkpoints along the way. After hitting all the checkpoints, riders will be dealt a poker hand to compete for awesome Oakley and Cygolite prizes and a complete Jax Bicycles MTB awarded for the best hand! Special Instructions: Ages 12 and up. Registration is required, sign-up online: www.letsgooutside.org/pokerride. The course distance is approximately 6.5 miles with a 700-ft. elevation change. Food will be available for purchase. Tap into topographical map-reading and compass skills while viewing the Santiago Canyon vistas in Black Star Canyon Wilderness Park. Special Instructions: Ages 8 and up. Registration required, sign-up online: www.letsgooutside.org/mapscompasses. Driving directions will be provided after registration. Heritage Hill Historical Park welcomes back the annual Autumn Harvest Festival. Bring the family to a fun-filled adventure and experience the park transformed into a spooky Halloween festival. Enjoy the Indiana Jones Trick or Treat Stations, experience the Under the Sea Adventure Maze, and dare to visit the Haunted School House. Children of all ages can participate in ghoulish games, costume contests and the pumpkin decorating zone. Costumes and trick-or-treat bags are recommended. Cost: $5 per person ages 3 and up. Join Orange County Astronomers for a view of the fall night sky. OC Astronomer Chris Butler will provide a presentation about the Moon. Enjoy the opportunity to look through telescopes at stars, planets, and other celestial objects. Saturn will be visible! Special Instructions: Ages 9 and up. Registration is required, sign-up online: www.eventbrite.com/astronomynight. Come prepared with layers of clothing to keep warm. You may also bring warm drinks and snacks. Laguna Coast Wilderness Park, Little Sycamore Canyon Staging Area/Nix Nature Center (west side of Laguna Canyon Rd/SR-133, approximately 3.5 miles south of I-5/405). Have you ever wondered, “where are all the wild animals in the park?” Visit a Show and Share Exhibit located next to the O’Neill Park Nature Center and discover the mysterious clues animals leave behind. Enjoy nature crafts and games, like making a wild animal track mold! OC Parks and the City of Lake Forest welcomes trick-or-treaters ages 12 and older back to Heritage Hill Historical Park for the 9th Annual Haunt at Heritage Hill. The park will once again transform into a haunted adventure with scream zones, including The Joker’s Side Show Maze, the Zombie Apocalypse, and Riding Hood’s Revenge, featuring more monsters than ever before. Visit the Haunted School House and hit the dance floor with ghouls and goblins at the extreme DJ and light show. Join in the fun and come dressed in costume (no masks) to enter the haunted Teen Dance & Costume Contest! Visit www.facebook.com/LFhaunt for more information and a chance to win prizes. Special Instructions: 12 years and up. Come on out and help restore the wild lands we so enjoy! There’s no better way to start a Saturday morning than by joining OC Parks and the Laguna Canyon Foundation in an invigorating project of non-native plant removal and/or planting native plants. Help us make a healthier environment for the native wildlife and for ourselves. Special Instructions: Registration is required, sign-up online: www.eventbrite.com/keepitwild. Little Sycamore Canyon Staging Area/Nix Nature Center (west side of Laguna Canyon Rd/SR-133, approximately 3.5 miles south of I-5/405). Special Instructions: Registration is required, sign-up online: www.eventbrite.com/keepitwild. Aliso & Wood Canyons Wilderness Park, Ranger Headquarters, 28373 Alicia Pkwy (from southbound Aliso Creek Rd, turn right on Alicia Parkway, first right on Awma Road, then left into parking lot). Join OC Parks and the Dr. John D. Cooper Archaeological and Paleontological Center at Prehistoric OC. This free, family-friendly event presents Orange County’s rich heritage of natural history, prehistoric animals and plants, and Native American culture to the community. Prehistoric OC has something for everyone. Come see volcano demonstrations, Native American storytelling and a special visit from Rocky the T-Rex! There will be a number of activities including archaeological and paleontological demonstrations and exhibits, as well as a Junior Scientist Camp featuring educational crafts and hands-on activities. Ralph B. Clark Regional Park is home to the Clark Paleontology Museum. The museum will host guided tours to showcase its extensive fossil collection from Orange County and its working laboratory where visitors can see paleontologists and archaeologists in action! Join Ranger Zak along with Laguna Canyon Foundation volunteers and bring your young ones (infant to age three) to explore Aliso’s wild backyard. We will see bugs, animal tracks, plants, birds and have all kinds of outdoor fun! Special Instructions: Ages: infant to age 3. Please sign-up online: www.eventbrite.com/totwalk. Aliso & Wood Canyons Wilderness Park, Ranger Headquarters, 28373 Alicia Pkwy (from southbound Aliso Creek Rd, turn right on Alicia Parkway, first right on Awma Road, then left into parking lot). Get a close-up look at live hawks, owls, and falcons from the Orange County Bird of Prey Center. Learn to identify raptors in flight. Dissect an owl pellet. Find out how owls fly silently and discover other raptor survival secrets! Special Instructions: Registration is required, sign-up online: www.eventbrite.com/amazingraptors. Birds will be on display and activities available from 1 to 4 p.m. No hiking involved. Laguna Coast Wilderness Park, Little Sycamore Canyon Staging Area/Nix Nature Center (west side of Laguna Canyon Rd/SR-133, approximately 3.5 miles south of I-5/405). Early pioneer families of the Saddleback area and their descendants share stories and visit during this SAHS meeting. Everyone is Welcome. Enjoy the Mesa in beautiful Black Star Canyon Wilderness Park as the sun sets below the horizon. Special Instructions: Ages 10 and up. Registration required, sign-up online: www.letsgooutside.org/twilighttrek. Driving directions will be provided after registration of program. 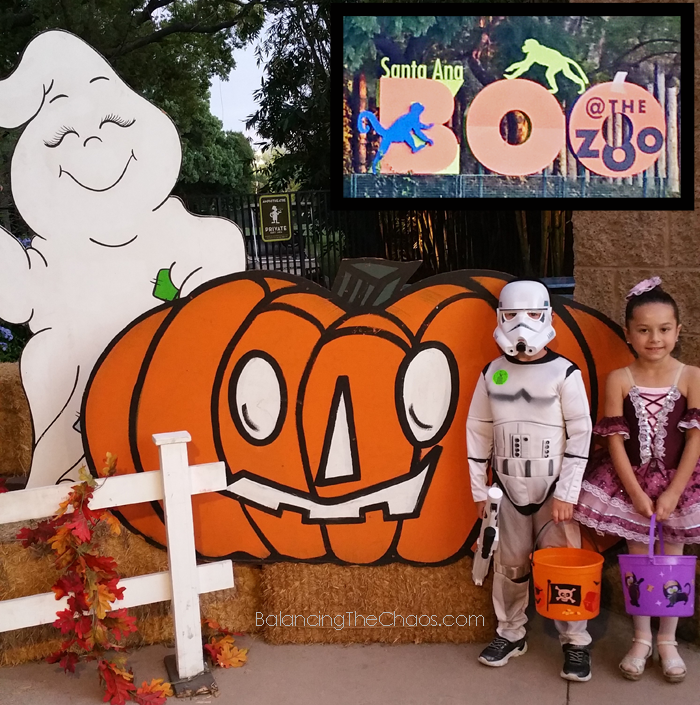 Join us for Halloween fun at the OC Zoo! Activities include trick-or-treating, kids crafts, a scavenger hunt, and fun games! First 100 children in costume receive a free gift! 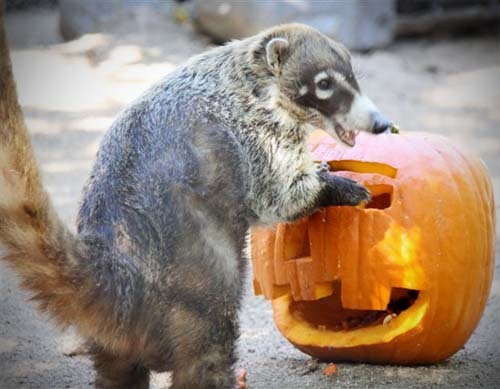 Come see the zoo animals receive treat-filled pumpkins throughout the day. Special Instructions: Reservations are not needed. Free activities in the Muth Interpretive Center classroom once a month, each one with a different educational theme to explore. Special Instructions: Recommended for ages 2 to 10. All activities are self guided. 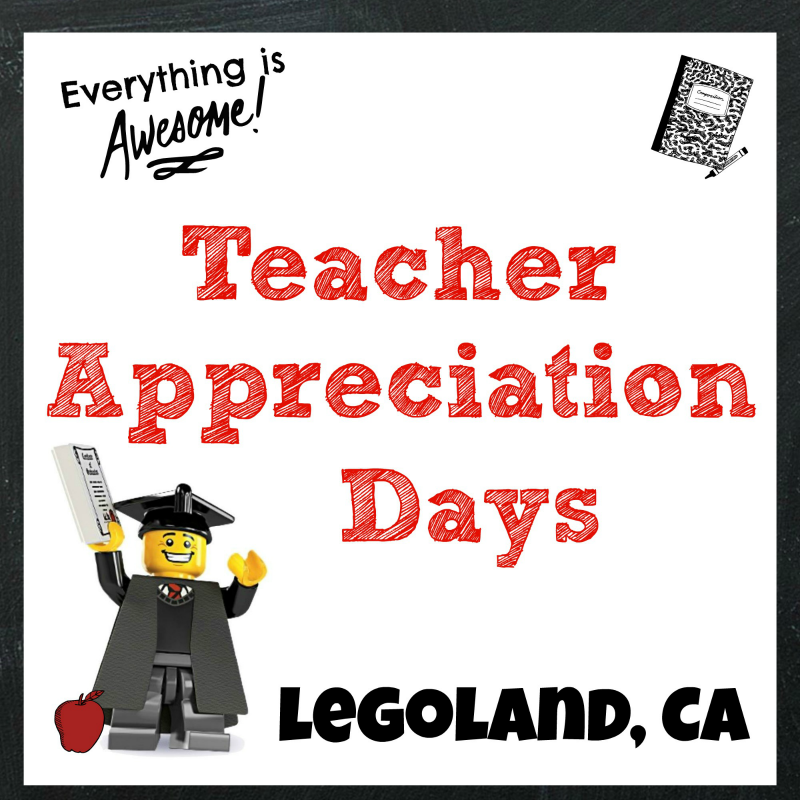 May include crafts, hand-on exhibits, hikes or more!